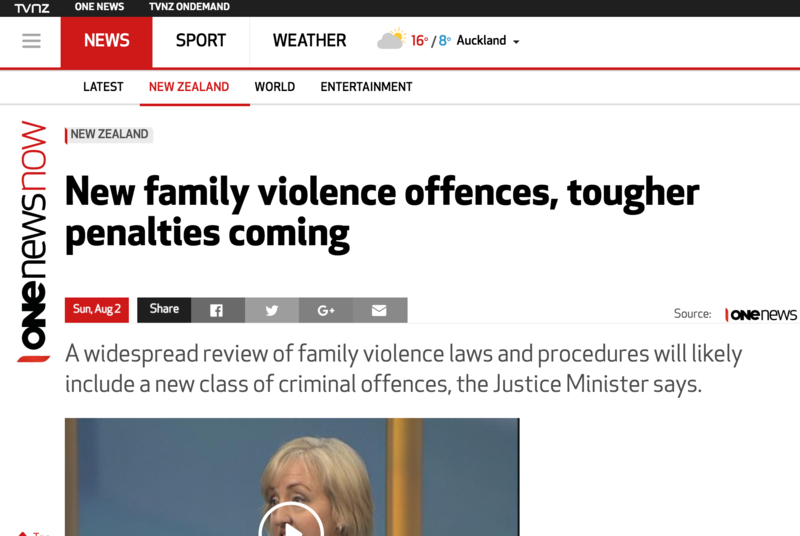 Context: New Zealand has the highest reported rate of intimate partner violence in the developed world, with around more than 100,000 incidents a year being reported to Police –around one every five minutes. 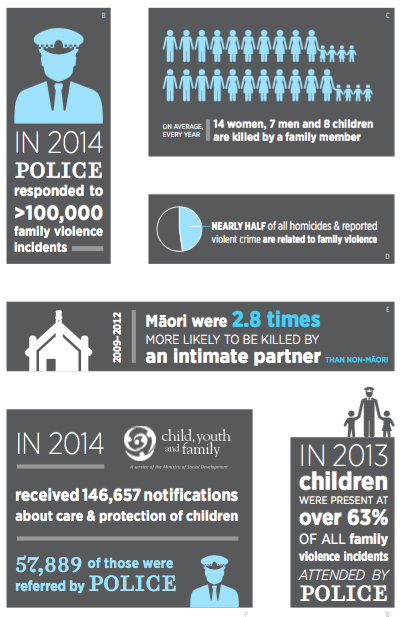 Nearly half of all homicides and reported violent crimes in New Zealand are family violence-related. 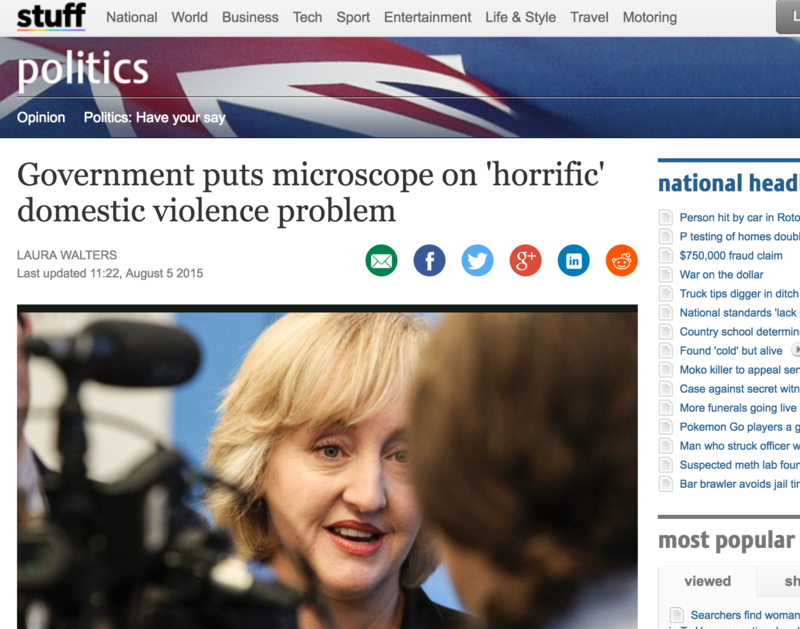 This ‘wicked problem‘ in New Zealand is highly emotional, complex, and many years of research and work has already gone into to trying to find a solution. The Justice Minister proposed that one lever which could help address this problem would be to review the outdated legislation that aims to protect victims and bring perpetrators to account. 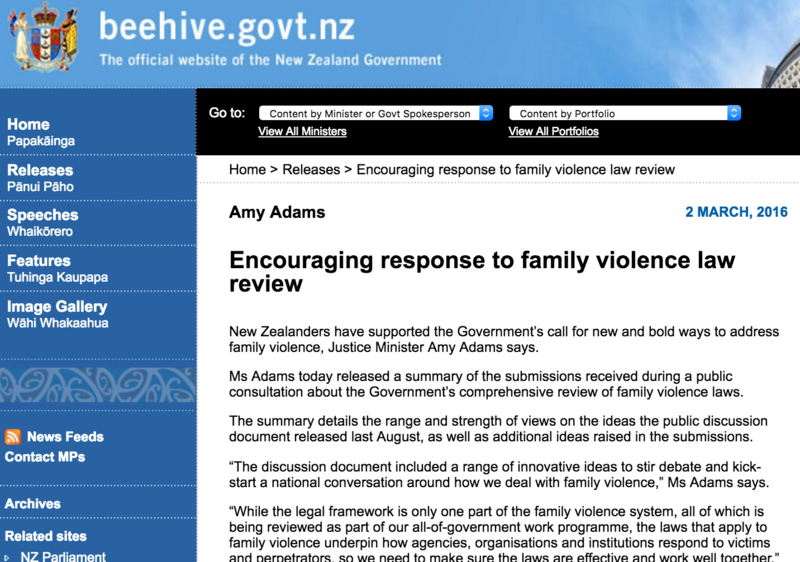 My brief was to propose and design a consultation method for national and public consultation on outdated legislation relating to family violence. The aim was to stimulate public engagement and debate on what parts of the legislation should change. Previous consultations had been limited to .pdf documents posted on the department’s website. My Role: Sitting within the Policy team, I researched global best practice in citizen engagement across all channels. After synthesizing the findings and testing several optional prototypes, I proposed several options with a single preferred option. To quickly test this option which involved a new digital and cloud based platform, I convened a cross section workshop with over 20 internal business representatives to talk directly with the global service provider. This quickly uncovered potential barriers and simultaneously created an informal working group which could progress design choices. I provided communication design advice to the Policy team on framing the consultation document in Plain English and advocated using infographics and illustrations to assist citizen engagement as well as drafting case studies based on research. I managed the initial procurement engagement, wrote briefing and recommendation papers along with a complete implementation and engagement plan which included requesting the many academic, judicial, NGO, lobby groups deeply connected to the issue could assist in engagement by utilising their own networks of affected stakeholders. Although my brief was to recommend an engagement tool for this single project, by using an iterative and collaborative approach, I was able to secure and implement a new, safe, scalable and reusable cloud-based platform that could be used for any further public consultation or engagement exercises, that met the strictest security and privacy requirements (especially designed to allow current and former victims to be able to give their views). The digital platform was more accurate for capturing feedback and analysing it in real time. Equally significantly, the new platform enabled fast, easy, safe and accessible engagement for citizens on issues they care about, enabling their voice to be heard. 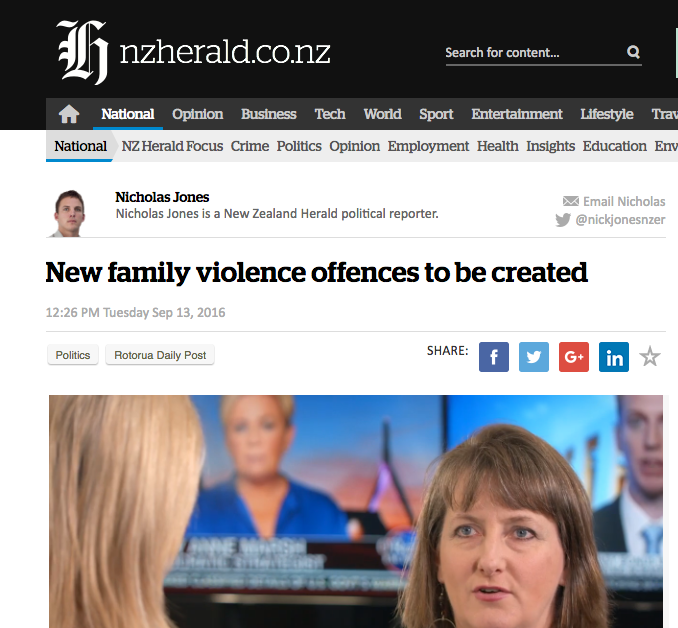 Improvements to strengthen the legislation in New Zealand that aims to reduce the occurrence of family violence and hold perpetrators to account is currently in progress. 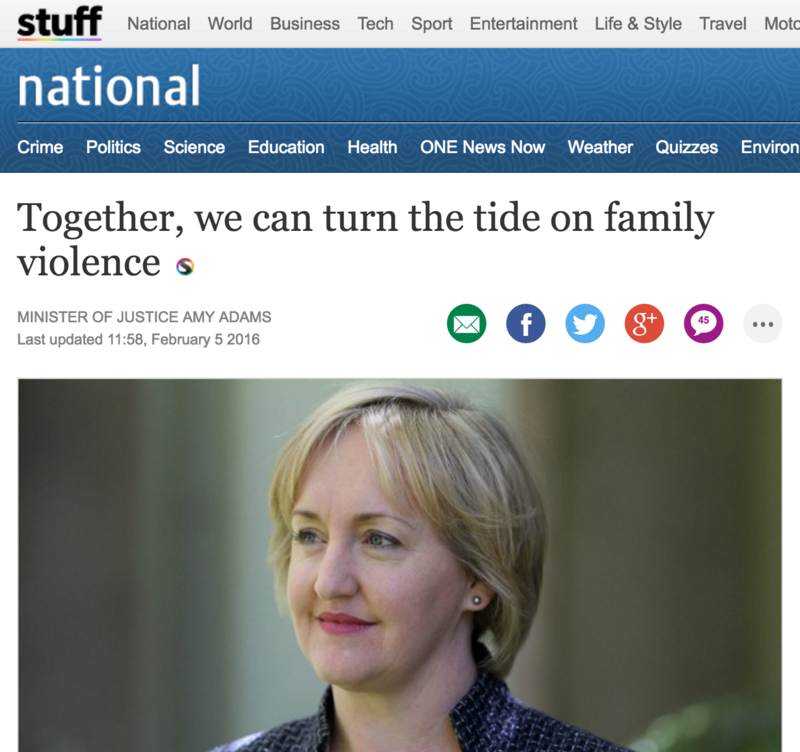 As at September 2016, New Zealand’s Prime Minister John Key announced that new (anti) Family Violence laws will come into place in 2017.